Why choose MPH? People often ask us how our gym is different. You could ask our members, or take a look at the seven reasons below. If you are new to CrossFit, you can get started in our On-Ramp Workshop or with our Saturday free workout! 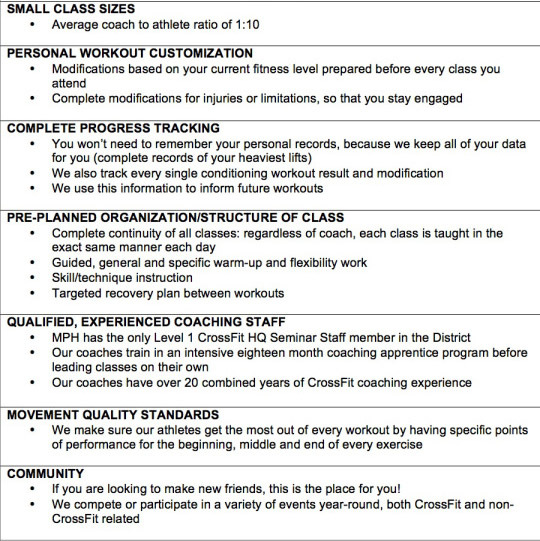 If you are a more experienced CrossFit-er coming from another city, please go here.